It was a fulgent evening in April when the University of Sheffield officially opened the doors of its Diamond Pilot Plant (DiPP) to a receptive congregation of students, staff, members of the press and representatives from the food, pharmaceutical and chemical industries. 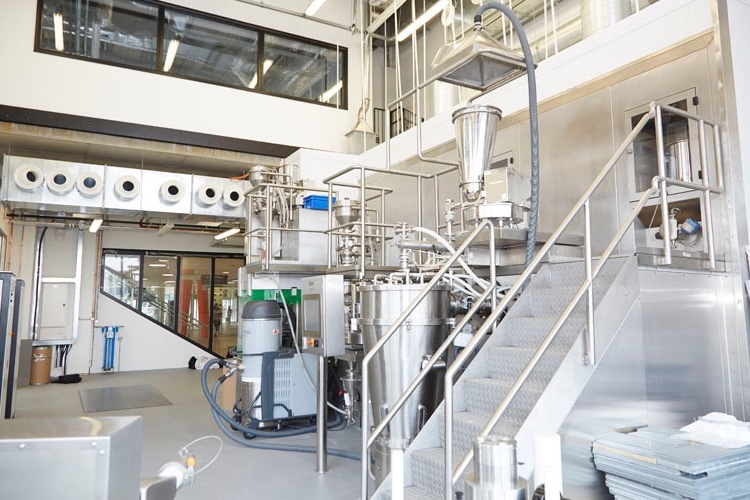 This pioneering new facility boasts a world-leading continuous powder processing plant — the first of its kind in any UK university — and will manufacture pharmaceutical tablets from mixtures of model active ingredients and excipients. DiPP’s key features also include a dedicated industrial control room, a “Power-to-X” pilot plant, which can be used to run experiments to examine the optimal conversion of renewable energy to diesel, and biomanufacturing equipment such as fermenters, bioreactors and downstream processing apparatus to investigate scale-up processes. The Diamond itself is one of the university’s largest ever investments in teaching and learning. The six-storey building hosts specialist educational facilities, including a range of lecture theatres, seminar rooms, open plan learning spaces, a library, areas for informal study and a café, and is where all first and second year chemical and biological engineering (CBE) students will undertake their work. As one of the university’s key supporters, Reinhard Behringer, Head, Institute of Materials Science at Nestlé, then took to the podium to provide some food industry perspective. After a potted history of the company’s 150-plus year pedigree in powder science and technology, physical chemistry and freeze drying/agglomeration, Reinhard explained Nestlé’s responsibility to encourage the next generation of technicians and engineers, to provide training platforms, make new discoveries, enhance quality of life and contribute to a healthier future. 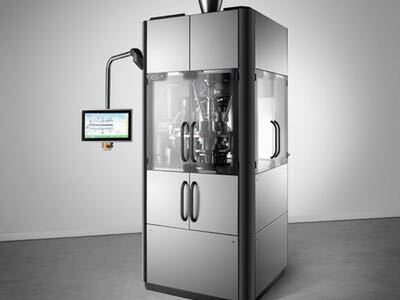 “Continuous manufacturing also offers a lot of benefits in terms of a small footprint, just-in-time production, built-in value and the ability to incorporate Quality by Design during process development. We won’t be able to do this alone, though, we must partner with suppliers such as GEA, who provided the equipment, academics, regulators and ingredient companies, etc., to move through the innovation process and capitalise on the power of this technology,” she said. 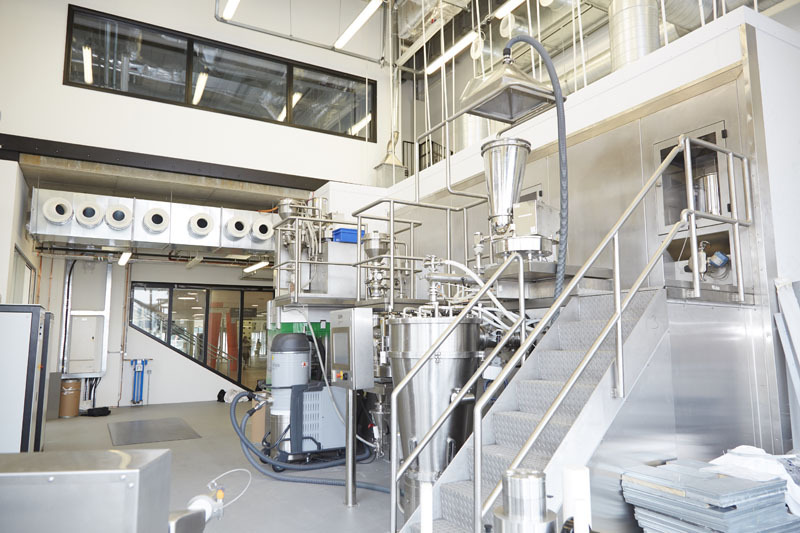 The first of its scale in any UK university, the continuous powder processing plant provides a platform to unite and integrate expertise in the area of oral solid dosage (OSD) manufacturing and address the challenges within the field. “The new plant emphasises the importance of complex particulate products — and formulated products more broadly — in modern chemical engineering … and we are reflecting this in our new curriculum. It is truly research led teaching,” he added. 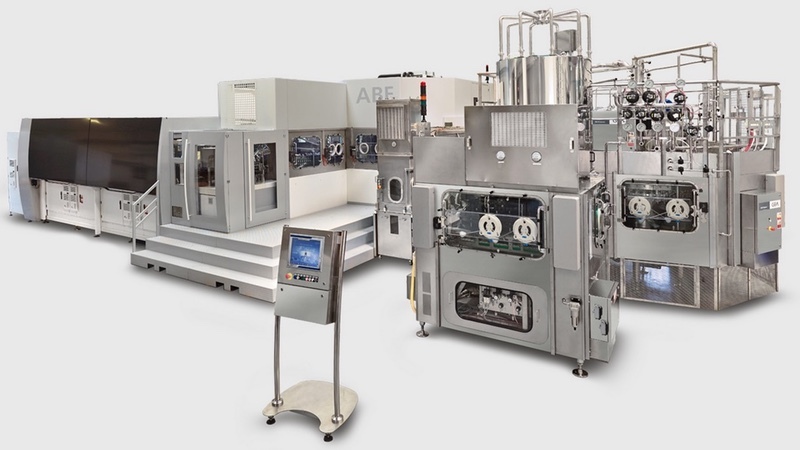 The global drug manufacturing sector is increasingly integrating continuous production technology to make OSD forms because of the higher levels of quality and consistency, and the reduced development costs. 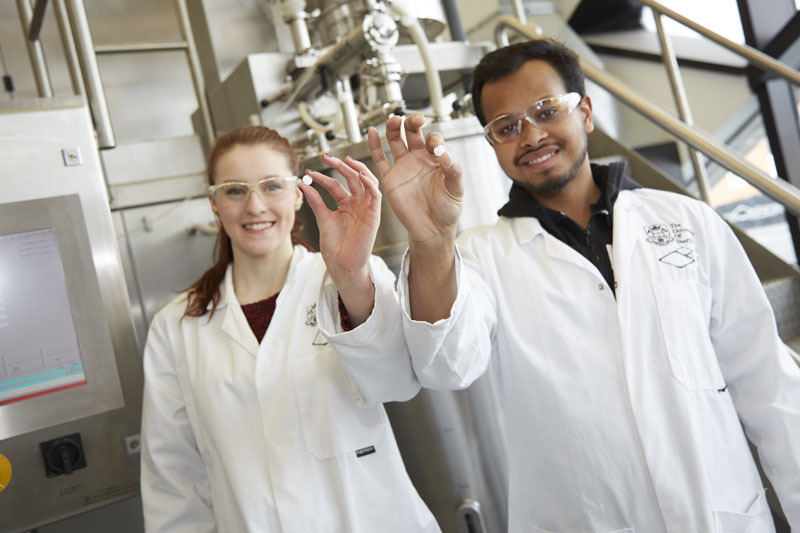 Students using this facility are immersed in the culture of product engineering using high class characterisation equipment to measure both the properties of the formulations and the attributes of the tablets they produce. “We were hoping to develop a new facility at the university that we could use for both research and teaching,” he said: “And now, we have something that’s not only unique in the UK, I think it might be the only plant of this quality in any academic establishment in the whole world." Asked how the plant might benefit the university and the greater life science industry, Professor Salman said: “So far, even before the launch, a couple of major pharmaceutical players have enquired about using it. They’ve sponsored some PhD students to experiment with model systems and we’re currently negotiating with two more international companies about training their technical staff and engineers." 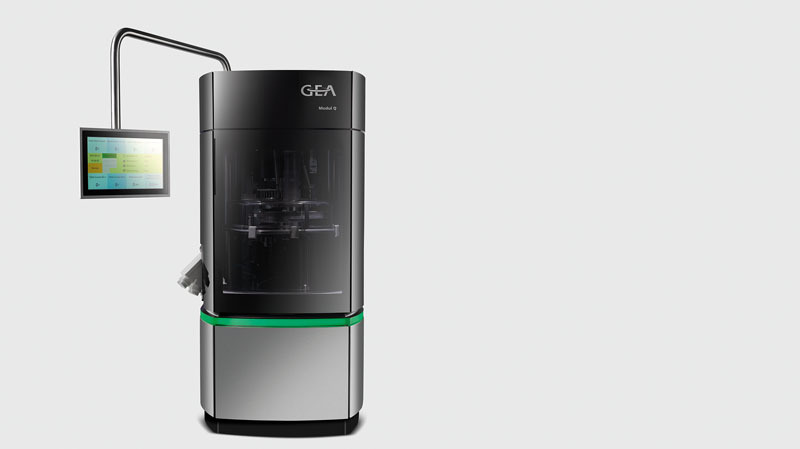 At the heart of the university’s plant is GEA’s ConsiGma, a multipurpose platform that has been designed to transfer powder into coated tablets in development, pilot, clinical and production volumes in a single compact unit. The system can perform dosing and mixing of raw materials, wet granulation, drying, tableting and quality control, all in one line. 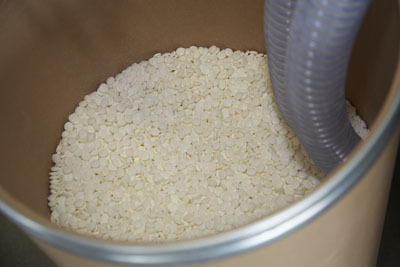 By producing granules continuously, batch sizes are determined by how long you run the machine; and, because of ConsiGma’s innovative design, the amount of waste produced during start-up and shutdown is significantly reduced compared with conventional methods. “We’re delighted to be playing a fundamental role in this project,” said Steve Holt, Head of Chemical/Pharma Sales at GEA. 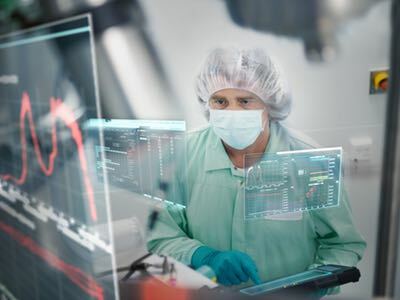 “It’s key for the future of the pharmaceutical industry — and even more so in the UK — to be able to place properly trained, educated and experienced new talent into the market, particularly during this period of political uncertainty. 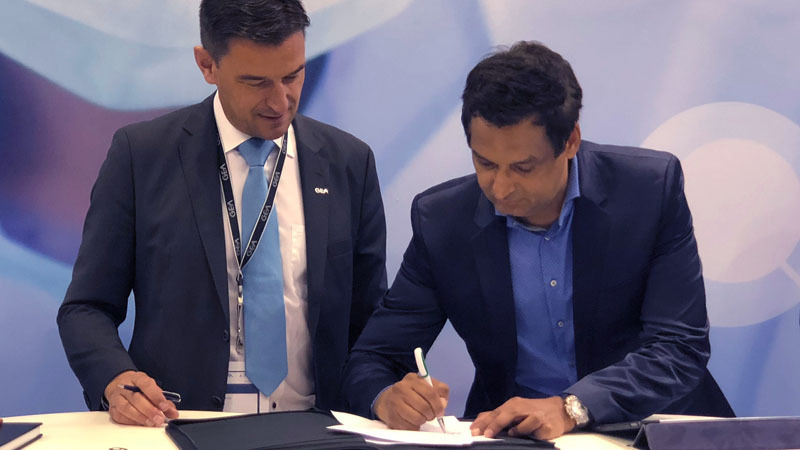 And, it’s testament to GEA being at the cutting-edge of equipment design to be selected by Sheffield during a competitive tender process,” he added. The NiTech unit supplied to Sheffield University was a DN15 Lite glass continuous oscillatory baffled crystalliser (COBC), which will be used for the research and development of crystallisation processes. 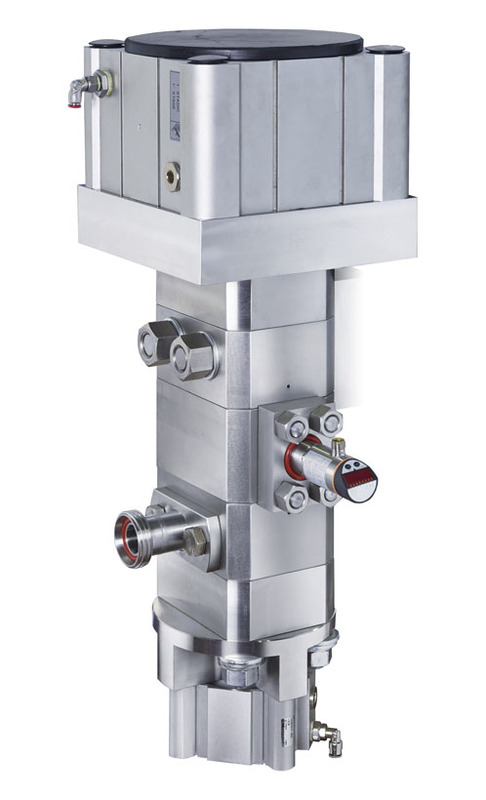 In an interview with NiTech Solutions, Jim Litster explained the reasons for choosing the crystalliser. He said that the next biggest employer of its graduates after oil and gas is the food, pharma and formulated products sectors and the university chose a NiTech crystalliser because they were looking for equipment to reflect where its graduates would eventually be employed. He noted that NiTech’s technology is regarded as cutting-edge, particularly in the pharma industry. Initially, the university will use the equipment in its undergraduate labs from first year to Master's level, firstly doing simple crystallisations and using it as a demonstration facility and lab for the first and second year students doing their mass and energy balances and introduction to chemical engineering design. In a year or two, the department plans to have a new specialist Master's programme in pharmaceutical engineering and formulated products and when that is available, NiTech’s equipment will be used at a higher level. 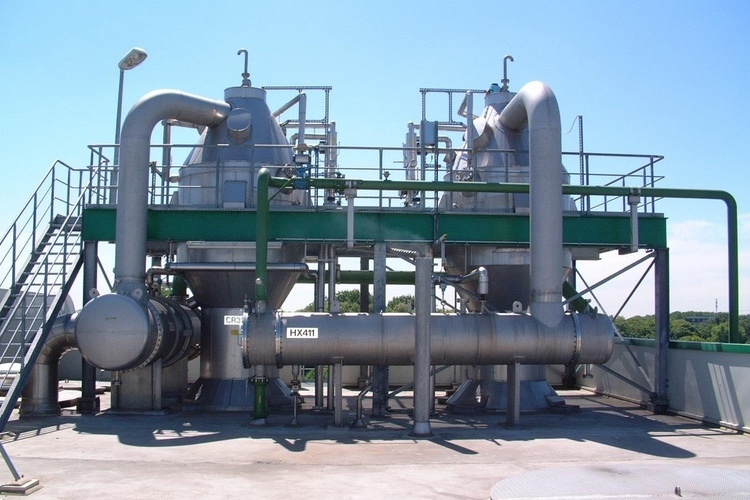 NiTech Solutions patented reactors and crystallisers have applications in the manufacture of chemicals, pharmaceutical, food and drink, and biotechnology, where the technology is safer, greener, faster and cheaper than traditional batch reactors. The technology is proven to reduce footprint by 70%, capex by 50% and operating costs by 30%, and at the same time improve yield by 10%. 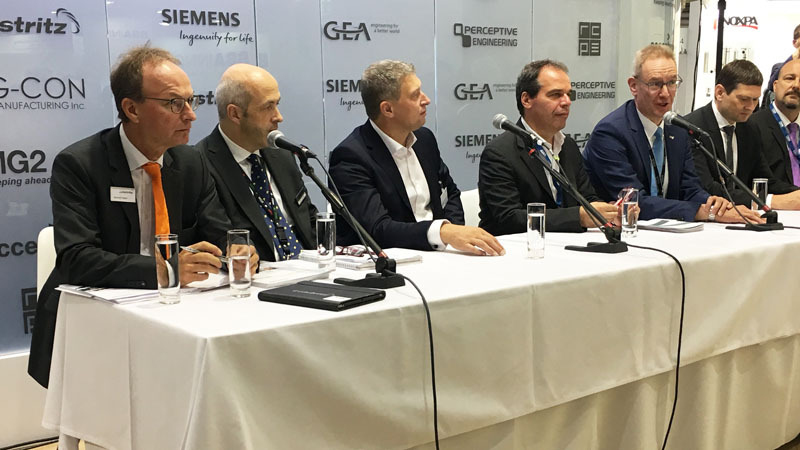 “GEA has been successfully demonstrating its late-stage development-to-manufacturing capabilities for many years. With collaborations such as this one with the University of Sheffield, GEA and its partners are leading the way toward smaller, more flexible, continuous processing technologies that have the potential to transform the future of pharmaceutical development and manufacturing — and deliver customised quantities of drugs to patients in need in a quick and efficient way,” contributed GEA’s Phil Gabb, Head of Solid Dosage Sales Support. He added: “I was really impressed by both the superb organisation and hospitality of the event, and the professional quality of the facility itself. The University of Sheffield is clearly a well organised, forward-thinking institution. 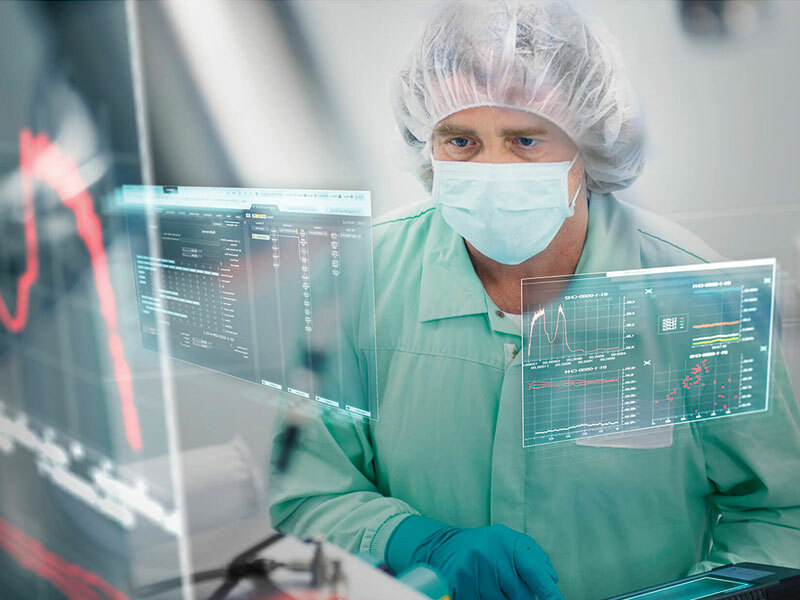 Continuous manufacturing will form an increasing part of solid dosage production in the future, and the industry needs well trained graduates who understand the processes involved." 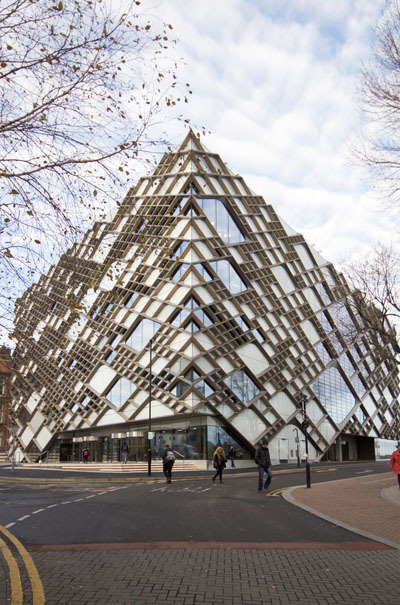 With its ground floor position in the Diamond in the heart of Sheffield, DiPP is the Faculty of Engineering’s window to the world. For the equipment, software and product manufacturing companies that sponsor DiPP, around 500 students per year use the facility and are exposed to their products and engineering philosophies. DiPP can also be used for training and upskilling employees in modern engineering processes and tools. “DiPP demonstrates that our engineers are part of the solution to the grand challenges that our communities face in the world today,” concluded Professor Litster. 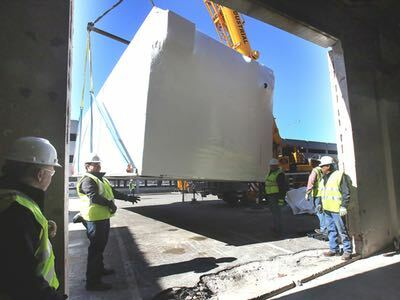 “We are really excited that our students, from first year undergraduates to postgraduate research students, will get a hands-on, active learning experience on some truly state-of-the-art, integrated processing equipment."